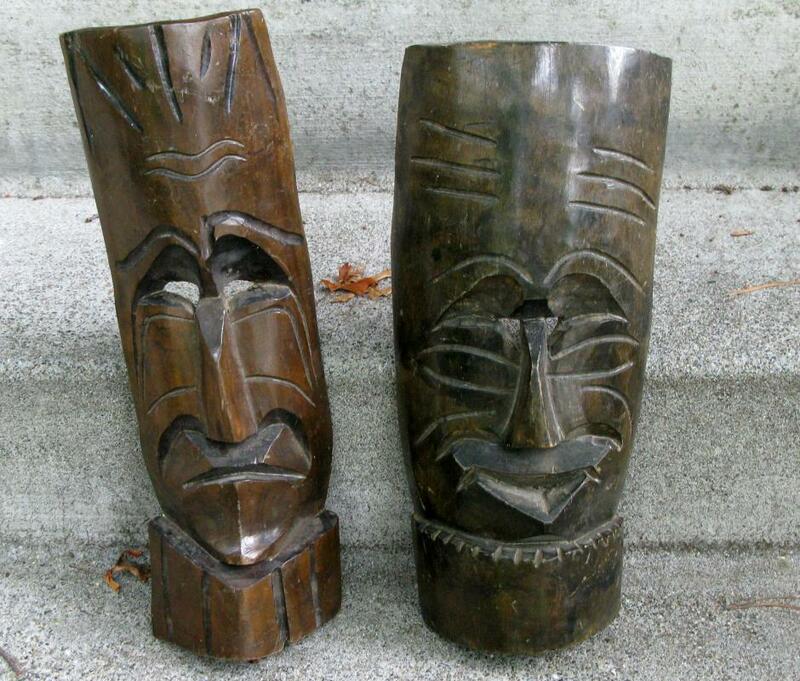 Two Large Wooden Carved Tribal Tiki Masks of some typeof tropical hardwood . One is 17.5 x 9 inches and the other is is 18 x 5 inches. 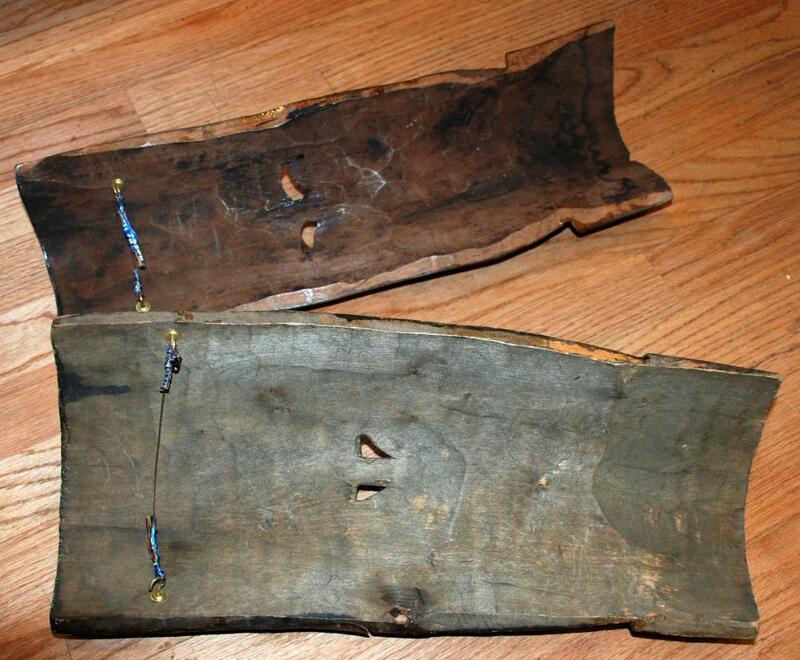 The wood has been stained dark and the faces have a glossy finish. There are some crude hangers on the back made from twist ties. There are eye holes on both of them. 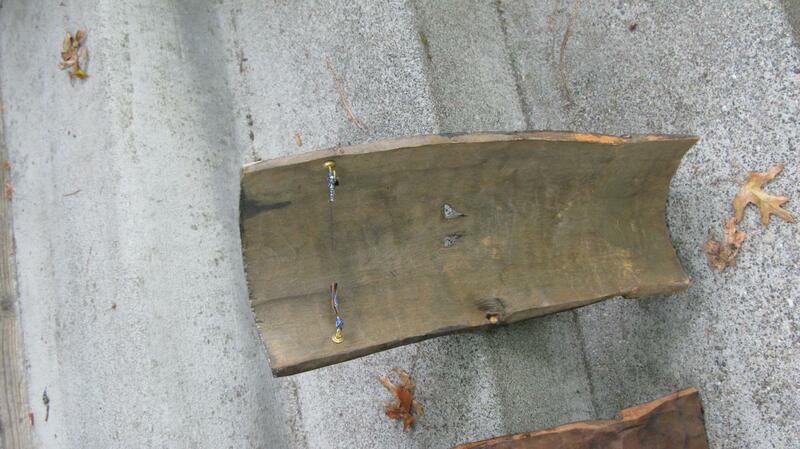 The condition is good but there are a few chips and scratches in the wood finish. 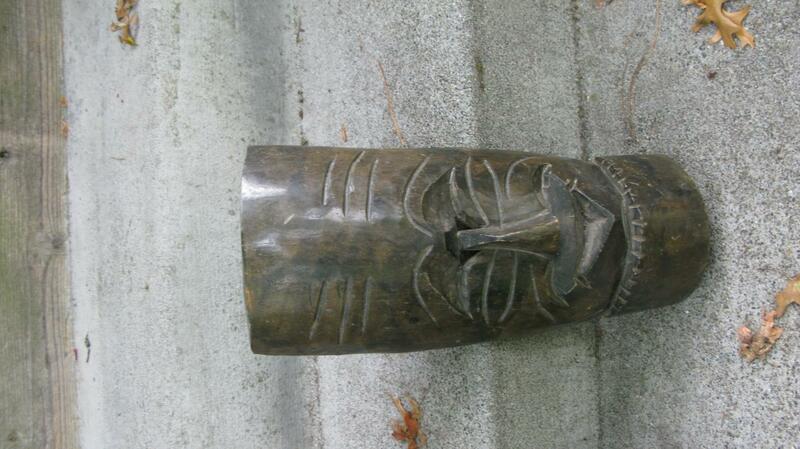 Not sure of the origen since they were an estate sale item. 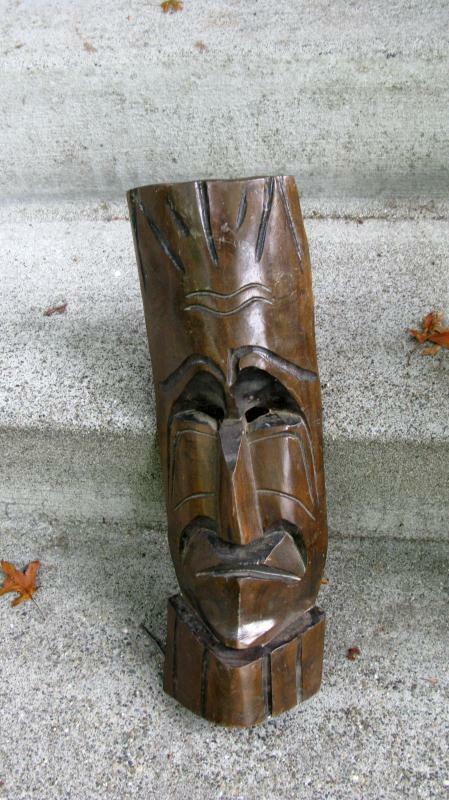 Items Similar To "Tiki Masks Two Large Wooden Carved Tribal Tiki Masks Mid Century"